I’m not sure if this book is YA or NA, but either way, it sounds great! I’ve been really into hockey stories lately, and this book’s premise reminds me of The Score by Elle Kennedy. 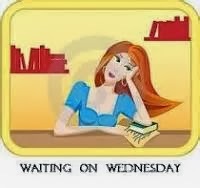 I haven’t finished reading that book, but I really want to at some point in my crazy hectic life. Also, Julie Cross’s Whatever Life Throws at You was a super fun and quick read, so I’m looking forward to getting my hands on this one soon. Nice pick! New to me one but I feel like I just saw this one yesterday somewhere! LOL! Hmm... It's coming out pretty soon, so maybe it's a popular WoW...? A blogger friend of mine was just reading this book! I can't remember if she ended up loving it or not (probably? She seemed to be enjoying it as she was reading it). 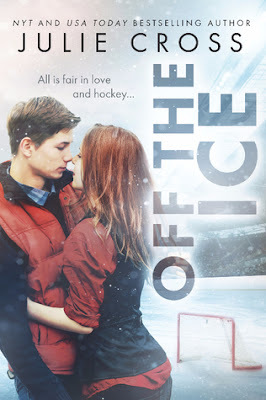 I've not read anything by this author, but I love hockey romances. :D I hope you enjoy this book when you get a chance to read it! I haven't read this author before but this sounds like a great story. I do love a good hockey romance. Great pick!